Satoshi Circle - Best Bitcoin Wheel Site Around Today! 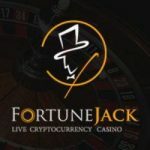 Satoshi Circle is a unique Casino style Bitcoin wheel that is provably fair, with interactive play, a leader board, reward system, and a referral system! Satoshi Circle is a unique Casino style Bitcoin betting wheel that is provably fair, with interactive play, a leader board, reward system, and a referral system! Satoshi Circle has been around since 2013 and has just launched a presence on the Bitcoin Talk Forum, giving the site strong credibility. Currently the minimum bet is 1 Satoshi per game, and the maximum bet is set to 5 Bitcoins. 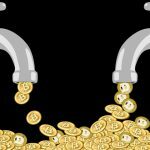 Bitcoin deposits are credited nearly immediately and withdrawals can only be conducted after two confirmations of the deposit has been recieved. Rewards Points are also offered. Here you must complete milestones to earn awards that will be given as you play more of the game. The more you wager and play the more rewards points you will receive. Ultimately you can use these reward points for prizes.